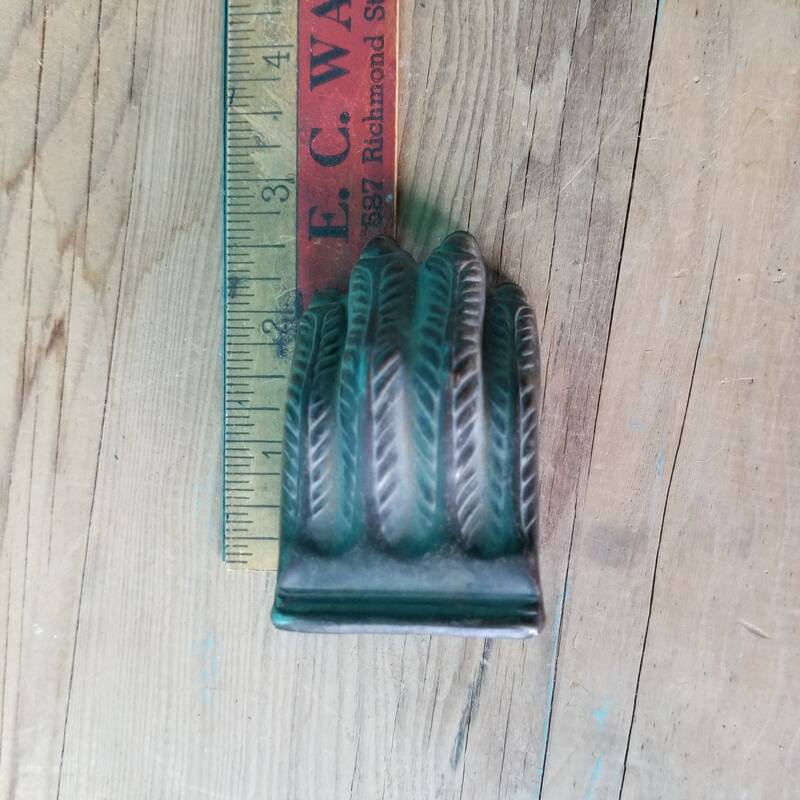 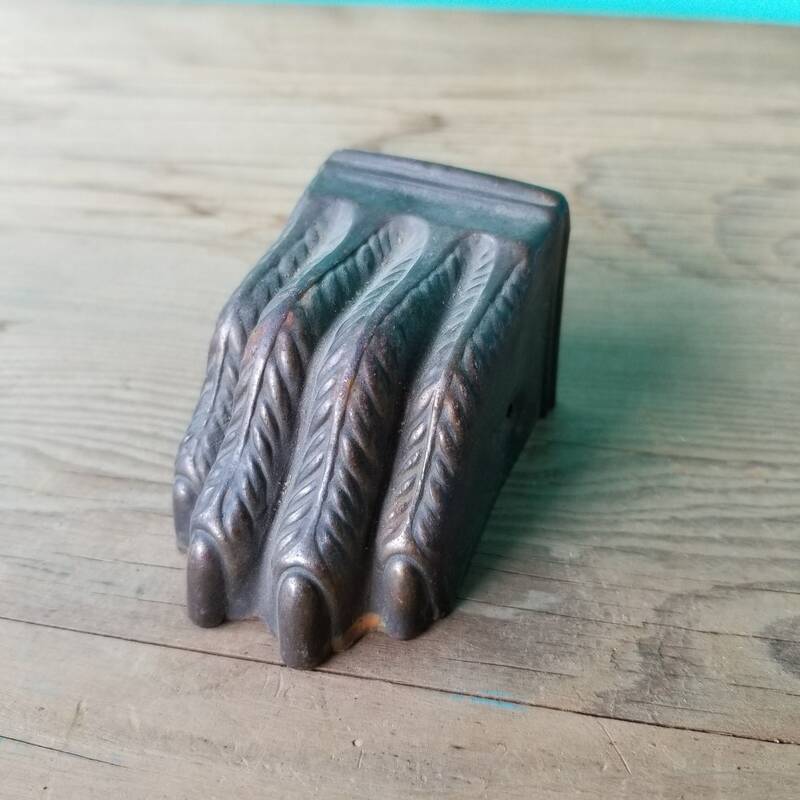 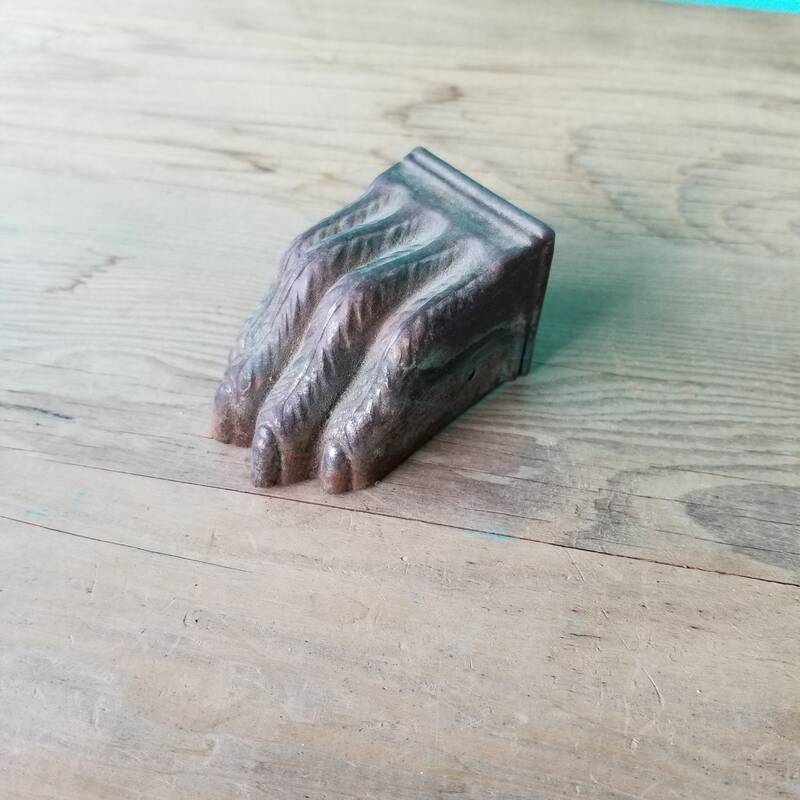 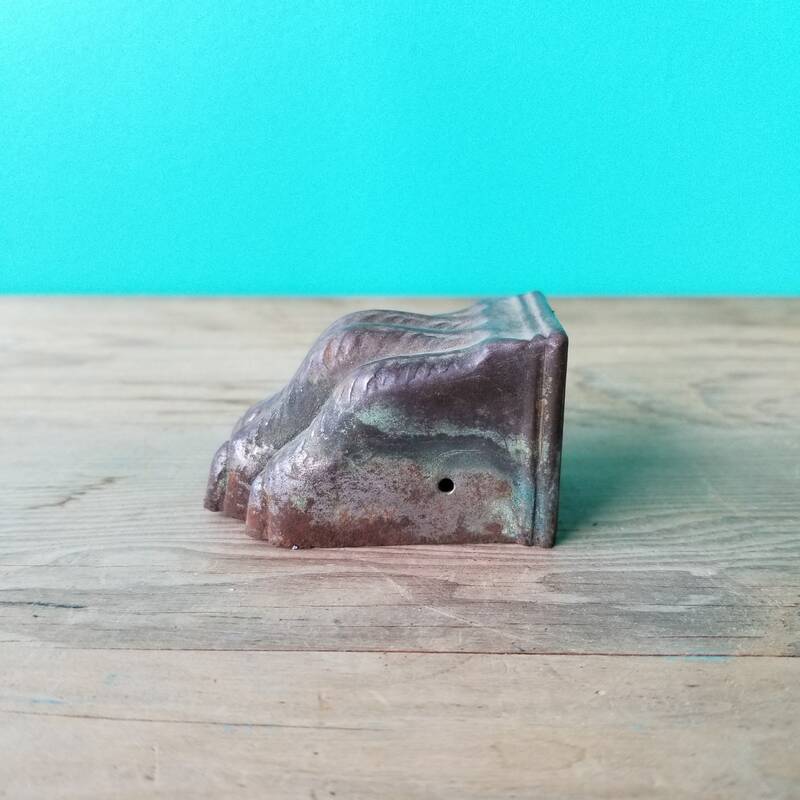 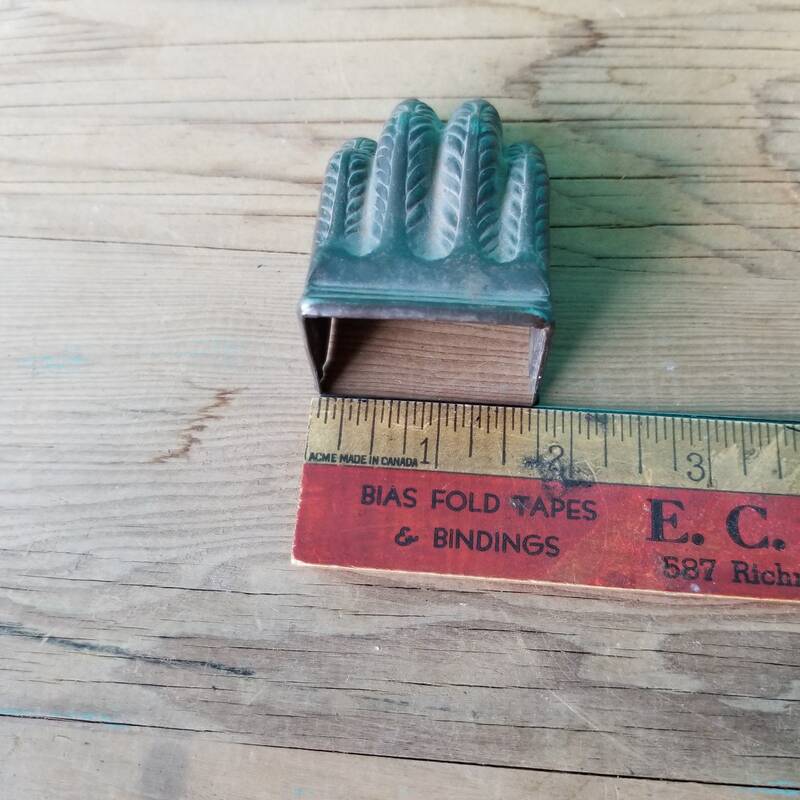 Complete the restoration of your Federal or Colonial-Revival style furniture with this stunning lion clawfoot toe cap. 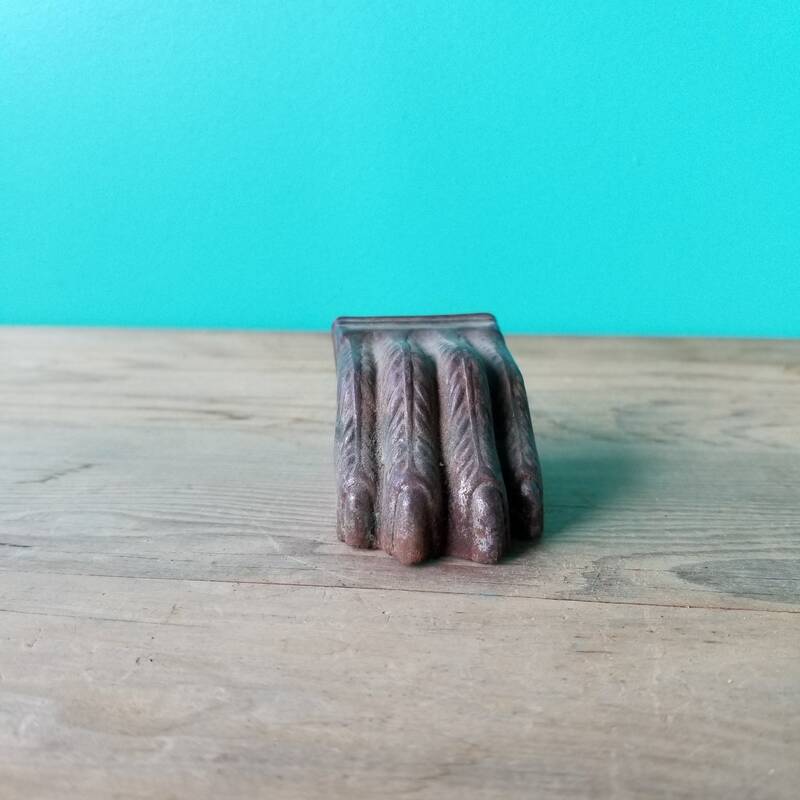 Authentic vintage brass with rustic patina, it will easily fit over the foot of your table, dresser, or sofa and has two holes to put a nail through and affix it to your restoration project. 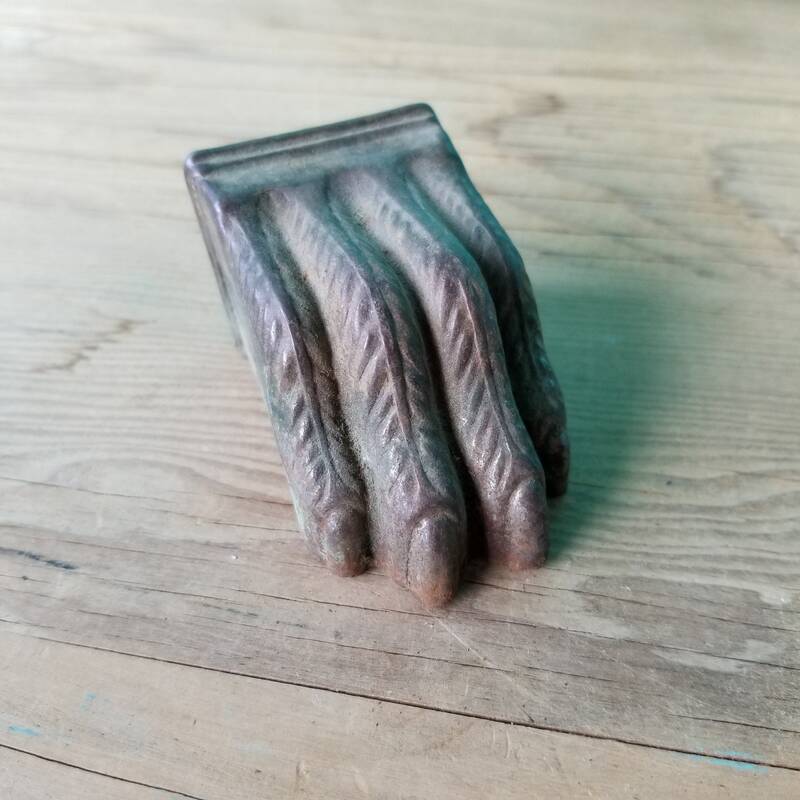 Not a cheap reproduction but real vintage hardware which will blend in with the remaining caps on your furniture.